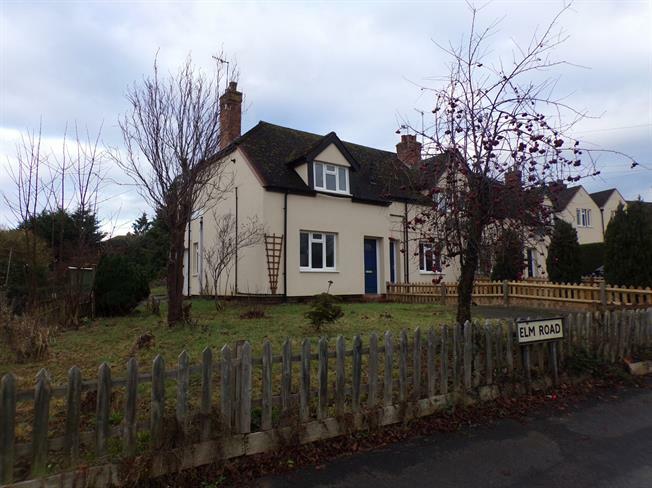 2 Bedroom End of Terrace House For Sale in Stratford-upon-Avon for Guide Price £182,500. A great two bedroom home with a fantastic plot to the front, rear and side. Ideal for enlargement subject to the necessary planning permission. Positioned The accommodation allows; entrance hall, sitting room, breakfast kitchen with access to the garden, two double bedrooms and a bathroom. There is a mature rear garden that extends to the side and front. Potential for extension and parking to be created. Viewing is advised. Double glazed window to the front elevation. Storage cupboard. Range of matching wall and base units including roll edge work surfaces incorporating a stainless steel sink and drainer unit. Space for a cooker, washing machine and fridge freezer. Tiling to the walls and vinyl to the floor. Radiator. Double glazed window to the rear and side elevations. UPVC door to the outside. Pantry cupboard. White suite allowing a low level w.c, wash hand basin and bath with shower over. Tiling to the walls and vinyl to the floor. Radiator. Double glazed obscure window to the rear elevation. Lawned garden with fencing and side gated access. There is a right of way across the rear for the neighbouring property.